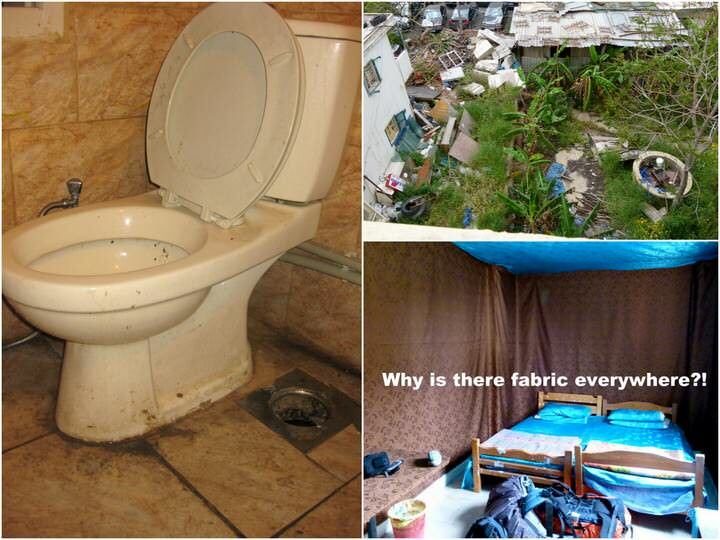 7 Dreadful Rooms We Should Have Never Slept In! 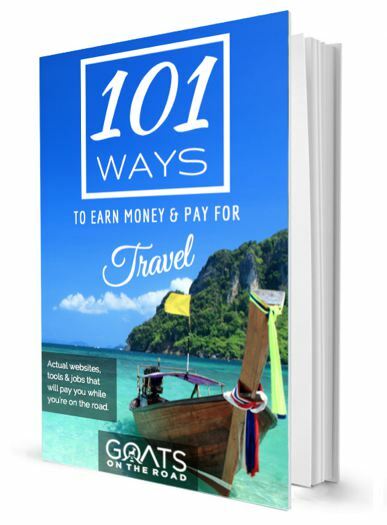 Goats on the Road Posts » Travel Blogs » 7 Dreadful Rooms We Should Have Never Slept In! As a backpacker, it’s inevitable that you’ll end up sleeping in some pretty dodgy places during your travels. 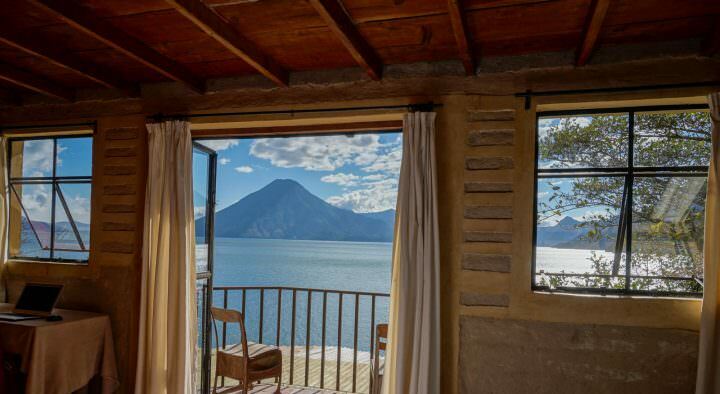 Whether it’s due to budget constraints, or simply the fact that there aren’t many options for sleeping in the incredible, off-the-beaten-path destination that you’ve found yourself in. During our 5 years on the road, we’ve slept in some pretty diabolical rooms, these are just 7 of the many awful accommodations we’ve found ourselves in over the years! This is by far the worst room we’ve ever stayed in. It’s one of those places that we frequently find ourselves telling other travellers about when discussing awful accommodations. We were in Beirut during the Middle East Revolution in 2011. Many people had fled from Syria, which was causing all of the hotel rooms in Beirut to be full. We found only 2 available when we were in the city. One was for $100/night, and the other was the one we chose. We were greeted by a very friendly man who showed us to our room. As the door opened, our jaws dropped, but not in a good way. We were shocked. Glued to every wall, the doors of the armoire, the top of the table, and even the window, was a brown fabric with paisley swirls on it. The fabric bedding was a lovely shade of turquoise blue, with matching pillows. This same fabric was glued to the ceiling. The view over the dump outside was a nice touch as well. 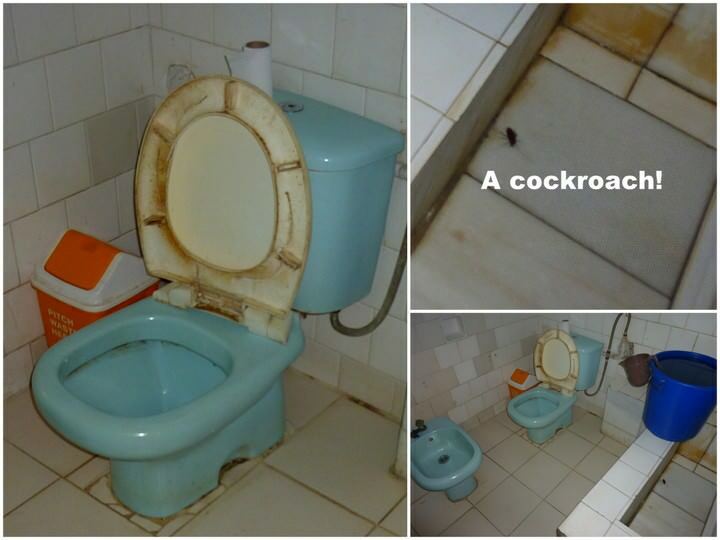 The shared bathroom was horrific with cockroaches, a toilet that looked like it had never been cleaned and hair clogging up the shower drain. Just look at that toilet! What’s up with all the fabric?! As we settled in, we thought – well, this isn’t so bad, is it? As we were drifting off to sleep, we both smelled something, something foul, like rotting eggs. We searched high and low until we discovered the unsavoury scent. Underneath our bed was a drain pipe sticking up. Apparently our room used to be a bathroom, and when someone flushed the toilet in the nearby bathroom, the smell would come up through our pipe! Nick immediately covered it with a plastic bag, an elastic band and threw a pillow over top of it for good measure. The following day, we switched rooms (but in the same hotel) and found ourselves with a bright room with 3 beds, a table and a couch and no fabric glued to the walls. We did, however, find pistachio shells and hair in the beds. We’re pretty sure that the men who run the hotel slept in those beds the night before, while chowing down on a big bag of nuts. We stayed in that room for 9 days and when we were leaving, we passed by a room and saw one of the managers folding up the bed sheets and blankets of someone who had just checked-out…he then proceeded to put them back in the closet. After an 11 hour day on African transport (which is more like 24 hours in normal travel time) we found ourselves in Mombasa, Kenya. Exhausted, we made our way into town and found a hotel that was near to a decent restaurant. The place from the outside looked alright, so we decided to check in. Too exhausted to fully inspect the room, we set up the mosquito net, got out our shampoo and soap and headed off for a much-needed shower. 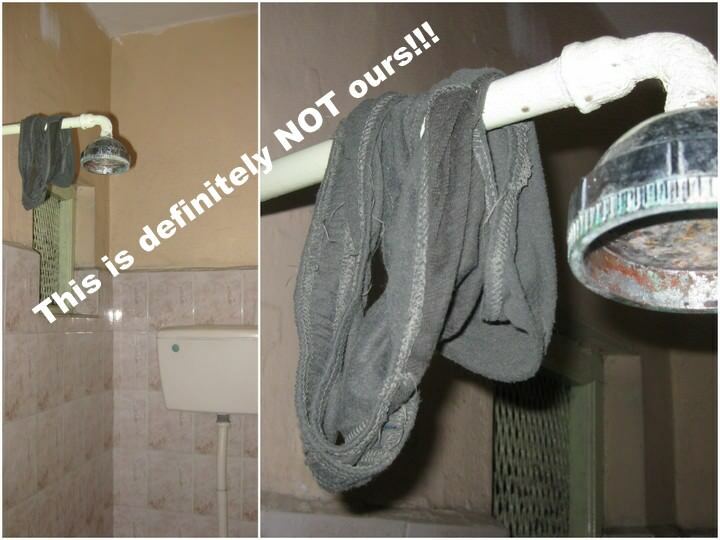 Someone’s dirty, grey underwear was slung over the shower head! So…the room wasn’t cleaned before us? After hitchhiking for 2 days and taking a very long local bus, we found ourselves in the beachside city of Pemba. Away from the gorgeous beach, this is just a typical dusty town, with not a lot of accommodation options on offer. So, when we saw one available, we went for it. Our room was in the basement of a building, with no windows. It was musky, damp and dark. The flooring was linoleum, which was coming up along all of the edges, the bathroom was deemed unusable (by us), so we opted for the slightly better upstairs bathroom. There were cobwebs along the bedroom ceiling and as we got ready for bed, I almost stepped on a very small, very light coloured scorpion. And if you know anything about scorpions, you’ll know that the smaller they are, the harder they sting. Unfortunately, we only have a picture of the bathroom, not the bedroom. This city is full of high-end accommodations, incredible night life and modern architecture. 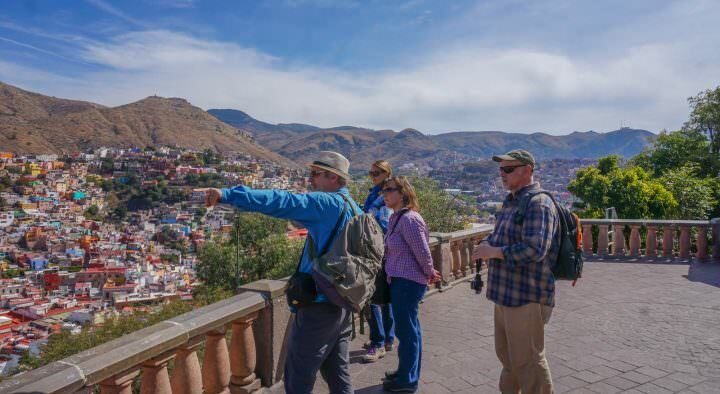 It’s also home to the Mirador Mansion, which is, in essence, a towering apartment building with tiny square rooms. In this mansion you’ll find hair salons, cyber cafes, tailors, hostels and people’s homes. The mansion is not aptly named, as the rooms as incredibly small, it’s quite run down, it’s filthy and 90% of the time, the elevator is in use, and you’ll end up walking 10+ floors to your room. Our sleeping quarters here consisted of a 7 square meter room (yes, SEVEN) with two single beds, a bathroom and a shelf. In between the two beds was enough space for one person to stand. Right as we opened the door, the bathroom was on our left, which was about the size of one on an airplane. It’s never ideal to have a bathroom right beside your bed! The worst part? This shoebox of a room was $50 a night, which was the cheapest option in Hong Kong. Oh, wait, that’s not the worst part…we had to spend 10 days here while waiting for our Chinese working visas to get sorted out! The most claustrophobic room ever! We arrived in the little town of Tsetserleg in time for the Naadam Festival. Seeing the festival is a must, but so is booking your room in advance, something we neglected to do. We asked around at every hotel and found only one with rooms available. We really didn’t want to stay there and even thought about setting up our tent, but were advised against doing so during festival time. So, we checked into the only place available in town, which also happened to be haunted (or so the locals said). Feeling sketched out and wanting to call Ghostbusters, we hesitantly checked in. We looked at numerous rooms, all of which were bad, and chose the best of the worst. The door didn’t lock. All a person needed to do was slide a card down the side of it and voila, it opened. There were no lights that worked, we had to take bulbs from the other rooms. The bathroom was horrendous, with no toilet seat on the toilet, a sink that didn’t work, a shower that wouldn’t stop running, a stained bathtub and cobwebs with spiders along the ceiling. The beds were uncomfortable, the view was awful…but there’s more, check out this quick video we made! We found ourselves in the capital city of Bali, during a particularly long travel day. After haggling with numerous bemo drivers, enduring long windy roads, we just wanted to lay down and go to sleep. We were travelling during the high season and everything seemed to be booked, except for one guesthouse. The room was dark, the beds were so-so, there were cobwebs on the ceiling, the floor was dusty, but the most amazing part had to be the bathroom. To this day, we still talk about this gem. It was a grimy bathroom with a bucket-shower, and who knows how long the water was sitting there before we came along. The toilet was gross with no toilet seat, the floors were awful, but we were so greasy and sweaty from our day of travel that we endured it and showered. The next morning, we awoke at 9:00am, ready for our breakfast (which was included in the room price) and found 2 pieces of rock-hard toast laying outside our door, along with two cups of cold coffee. Apparently breakfast was served at 7:00 am. This was the first hotel we ever stayed at in India, and to be honest, it’s the only bad one we’ve ever had to sleep in during our travels in the Subcontinent. Located in the heart of the ghetto, was our hotel, which was surrounded by prostitutes, drugs and dodgy looking people. The room itself was so-so with dim lighting, a small basic bed and a bathroom. The view was what really made this place stand out, and we didn’t even have to pay extra for it! We’ve stayed in many more unruly places in our travels, but these are the ones that we have photos for! Regardless of how awful they were (are), they were all part of our journey and now we look back on these horrible rooms and laugh. What about you? What’s the worst room you’ve ever slept in? Was it as bad as the one in Beirut?! This is too funny! I know all of us budget-minded travelers have stayed is some downright horrific rooms in our time. But having a bad room is THE WORST! 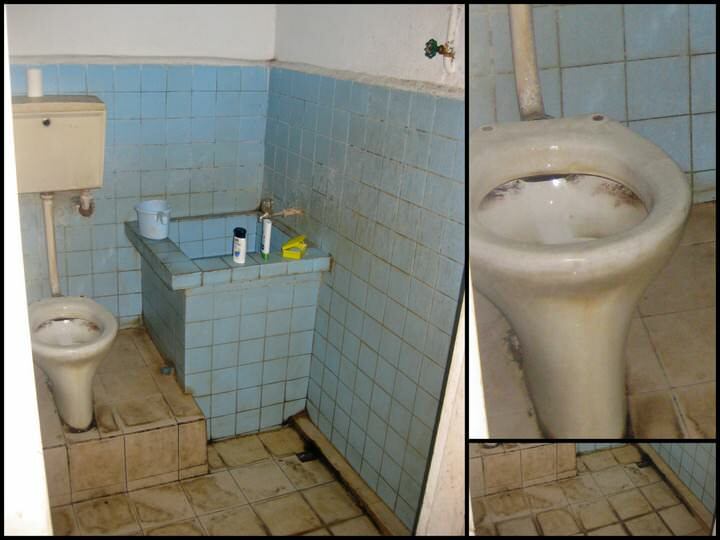 I think one of my worst rooms was in Cuba. Since we’re Americans we had to travel with all cash (since we can’t use ATM or credit cards). 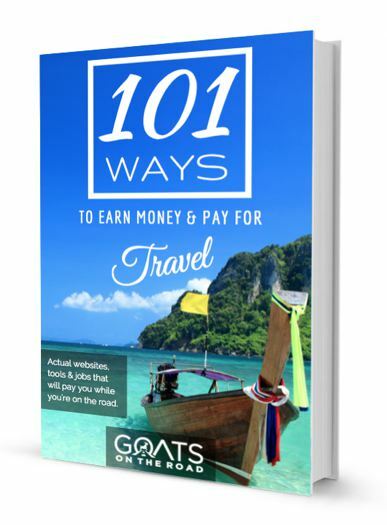 We’d been ripped off so toward the end or our trip we were running seriously low on money. The cheapest option we could find in Havana was a room for $15. It ended up just being some dude’s dodgy apartment, which he vacated for the night.. Suffice it to say it was not cleaned, there were dirty dishes and dirty sheets. It was windowless and filthy and dark and gross. The real kicker was that there was a huge gap in the wall between the living area and an outdoor staircase. So people who were walking up the stairs could literally just jump into our room! We also found an old American passport that had been cut up and stashed on top of an armoire. So sketch! I can look back and laugh now, but I was so bummed out that night! haha, omg! That’s brutal! $15 would get you a decent room in Asia 😉 I can’t believe that he had a random American passport cut up as well – totally a sketch place. But isn’t it funny tho to think back on it now?! When we went to Huacachina (Peru) we were shown a private room and it seemed okay until we went to take our backpacks off. All over the ground were dead and half-dead cockroaches. Then we noticed some on the bed. And then…we looked up. The roof, made of bamboo, was half rotted and literally vibrating with cockroaches. They would hang out and then fall when they died. It was terrible and I knew I would not be able to rest at all so we quickly went and demanded a new room. Ew. I’ stay in dorms quite often, so hell is other people. It includes thieving and smoking roommates, uncommunicative people who create an atmosphere akin to a morgue, loud partiers at 4 in the morning and others getting to third and fourth base in spite of everyone else. Oh…brutal! True, that is dreadful…I don’t like dorm rooms for all of those reasons that you said. haha, thanks Marc, we’re glad you found it entertaining 🙂 Although, it wasn’t entertaining for us at the time! I thought our stories were bad. Chicken screens for screens, used condoms on the floor, beds that curved inwards. But these are bad! I admit I too was highly entertained and am glad you can laugh about it all now! Wow, these are pretty horrible! I remember those coffin rooms in Hong Kong. I think I stayed in one a similar size to yours, but which actually had three beds (a single and a bunk) and no window, which was actually the worst part. Never again! Urgh! No window is the worst! It feels like a cave. The sad thing is that many people in Hong Kong actually live in homes that size! And what’s even worse is that they’re not cheap! Hahaha this is very funny!!! You really did see some horrible places!! I have had the same in Asia, I guess sometimes you just need to deal with it! Exactly! The stories are worth it 🙂 Where was your worst room? Thanks for the comment. I am so horrified by your Beirut “hotel”! A good friend of mine used to work as a triage doctor in Tegucigalpa, Honduras. She told horror stories of patients who came in with cockroaches stuck in their ears. Apparently roaches can only walk forward, and so once they get stuck, they can’t reverse and get out. (Shudder!) Should this happen to you, her tip was to drown them in alcohol and then remove. But her more important tip to me was to stuff toilet paper in your ears before sleeping, to make sure the critters don’t get in there in the first place! I’m sorry to say that I’ve slept in a couple of hotels that required the toilet paper protection, but happy to say I left with clean ears! OMG! That is horrifying! I never knew that about cockroaches! Gross. Thank you for the tip, many places we stay have roches running around – I’ll be getting the toilet paper out! haha. haha, yes, Chungking Mansions are just next door and are the slightly worse version of Mirador…man are they small! I agree, nowadays, if we’re in this situation, we just throw some money at the problem and find a better room – but oftentimes, there’s no other rooms available! OMG…too funny. That post brought back bad memories of our backpacking days. There were definitely horrible rooms for us, but thankfully they are so far in my past that they are all a hazy blur now. Ugh! haha, thanks for the comment Donna! The post was meant to make people laugh, so we’re glad you did 🙂 I’m glad these days are behind you! We stayed at a hostel in Sofia, Bulgaria that was ragged, dirty and overall gnarly. Worse, the wi-fi was broken (LOL). The lesson learned that night was that ensuite rooms at a hostel aren’t necessarily better. We had booked exactly that and taken offsite to a 3rd party’s location. The actual hostel we booked was bright, clean, full of life and generally awesome. Ya, sometimes when you get put in the “sister hostel” it’s never as good as the original! Suicide Shower! haha. Those are brutal. Bucket flushing is always fun, isn’t it? I agree that those rooms don’t look very nice but you guys seem to be too spoiled. You get what you paid for..what did you think you get in some parts of Africa? If you really visited Hong Kong you know they have very little space for so many people. Is this really the best way to show your gratitude they welcomed you in their countries? Honestly I live in Canada for a few years now and what some of you Canadians have at home is just horrible! It is more permissible for 3rd world countries. There are horrible hotels everywhere in the world – but these were the ones that we experienced first hand. It has nothing to do with the actual country itself – we loved our time in Hong Kong, India, Kenya, Lebanon, etc. but the rooms we stayed at weren’t very clean. This post was meant to be funny, not offensive. Oh those are some extreme places. My worst has been when I was in Iquique, Chile. After searching around for a place for a couple hours found a place that had a private room. It seemed alright only option. When I went to sleep, I was scratching myself. I woke up then turned on the lights there were bugs crawling in the bed. I told the owner he said sorry out of luck it’s the summer time. Oh nasty! Bugs crawling all over you? Ohhh, I’m itching over here! haha. This article is brilliant! But I guess at least you guys got a room!! Recently I was stuck in Lumbini, Nepal without a room for the night… some nice hotel owners let us sleep on their roof! hahah, the Roof?! Not even the floor…but the roof! That is amazing. Oh wow, they are some corkers!!! 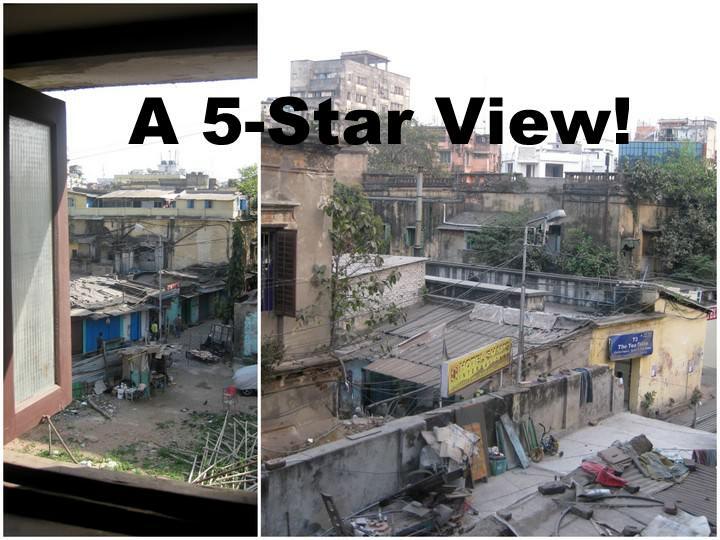 My worst was in Dhaka, Bangladesh. It was like a cell – no windows, concrete walls, floor and ceiling. Hole in the corner for a toilet. I had simply no words – I stayed 12 hours, then paid for the night but checked in somewhere else until morning. My sister and I checked into a guide book listed place at Gorakhpur, India, en route to Nepal. Worst place ever! Filthy, frightening and filled with mosquitoes and nasty plumbing. We sealed ourselves in our sleeping bags til dawn. 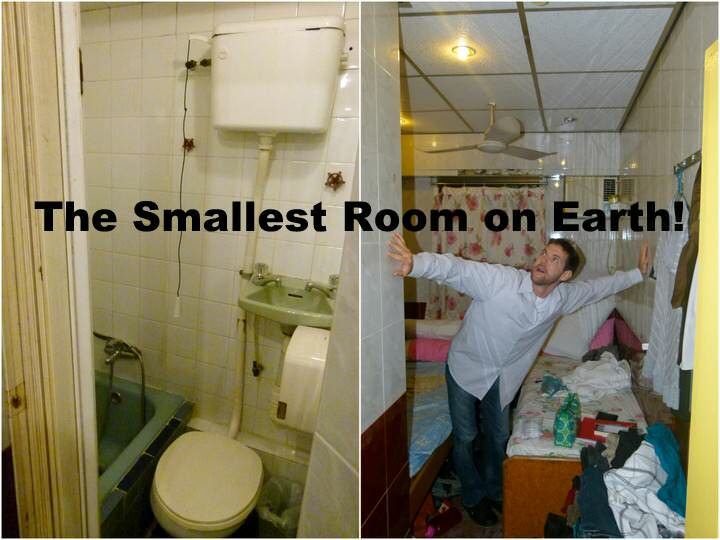 That was the last time we ever trusted that guide book and asked other backpackers for room recommendations instead! Ah, nasty! That’s the thing about guidebooks, they’re often very outdated when it comes to recommendations for accommodation and restaurants. Best bet is TripAdvisor or other backpackers, like you said. I can’t relate to any of these experiences as I have always stayed at hotels. Nonetheless, I do find the said experience quite entertaining (and educational). hahah! yes, looking back it’s quite entertaining. Not all were bad, just a few. And in some places, there weren’t options for anywhere nicer 🙂 But, now, we would spend more in Beirut, that’s for sure! Cheers. Oh wow… that Beirut one is bad, but that Denpasar bathroom…. I stayed in something that looked like a jail cell in Dhaka, Bangladesh for a couple of hours – in the end I paid the money and moved somewhere else. It was apparently a hotel, but it was just a concrete cube with a string bed inside, and an attached concrete cube bathroom with a tap, a bucket and a hole in the floor which doubled as a toilet and a drain. It was dire. hahah! I love hearing about other people’s horrid hotel experiences 😉 Thanks for sharing, glad we aren’t the only ones!